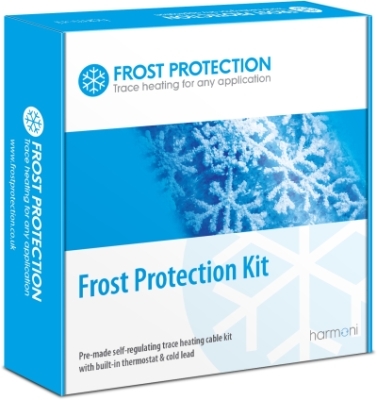 Our pre-made trace heating kits are the perfect solution to prevent pipes from freezing. 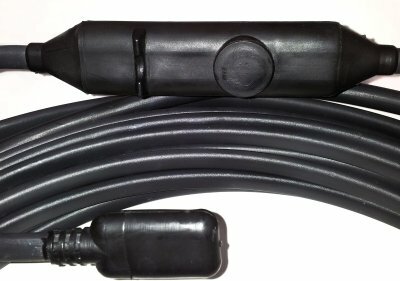 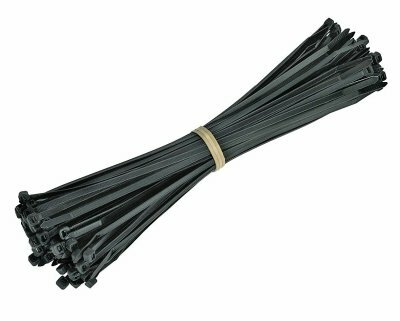 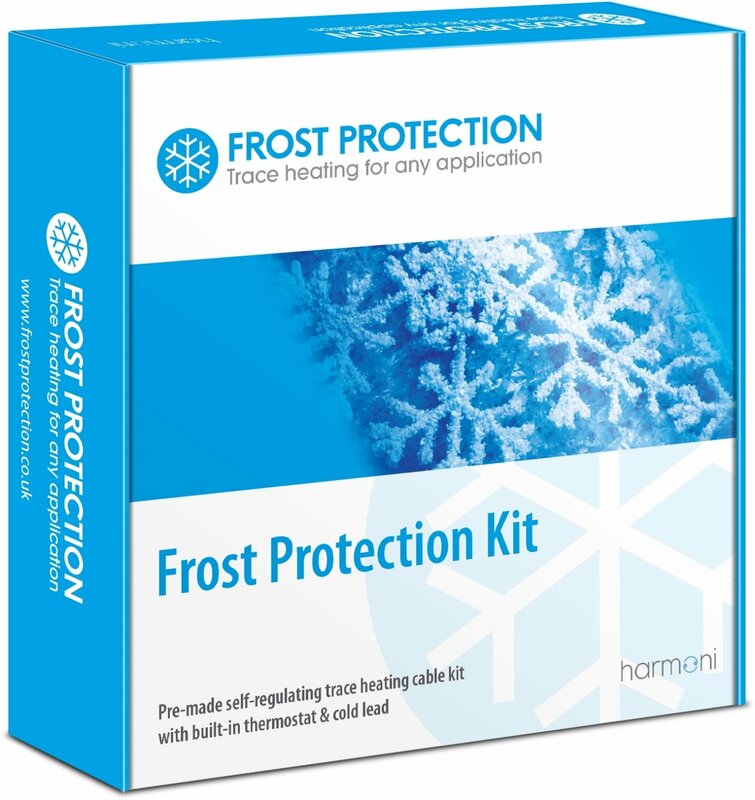 These pre-made frost protection kits use a self regulating trace heating cable which limits its output per meter by using a variables resistive compound within the cable to prevent overheating and to ensure efficient operation. 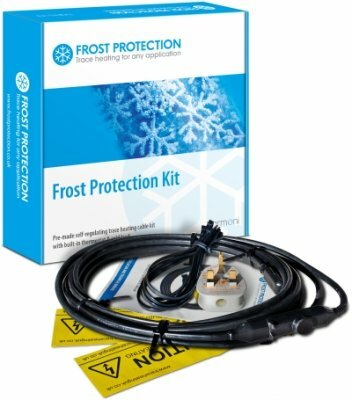 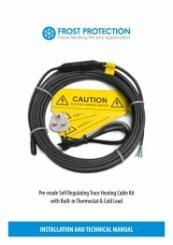 All our frost protection kits come complete with a built-in thermostat to ensure that when the ambient temperature drops below 5°C the trace heating cable activates and remains in operation until the ambient temperature exceeds 10°C. 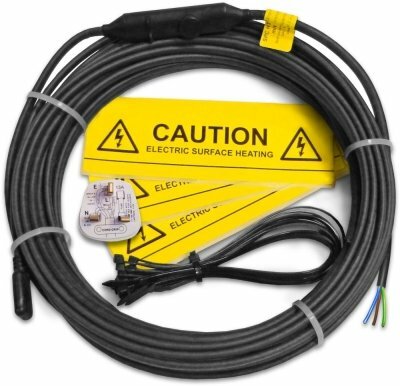 The built-in thermostat ensures that the trace heating system only operates when required to stop pipes freezing throughout winter and remains dormant during the summer.